Cerastium fontanum is a perennial plant with few glandular hairs. 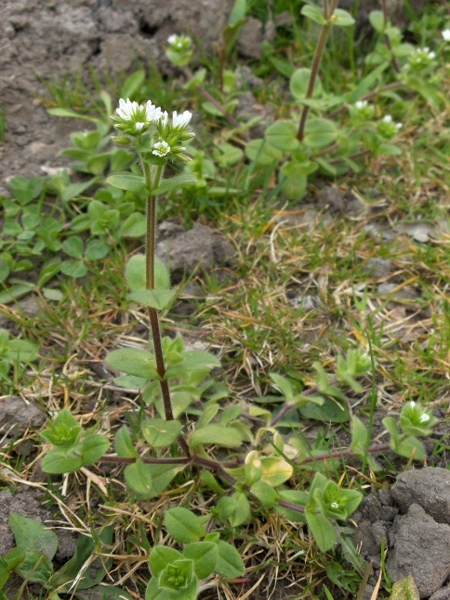 Cerastium fontanum is a variable species, and its infraspecific taxonomy is rather confused. 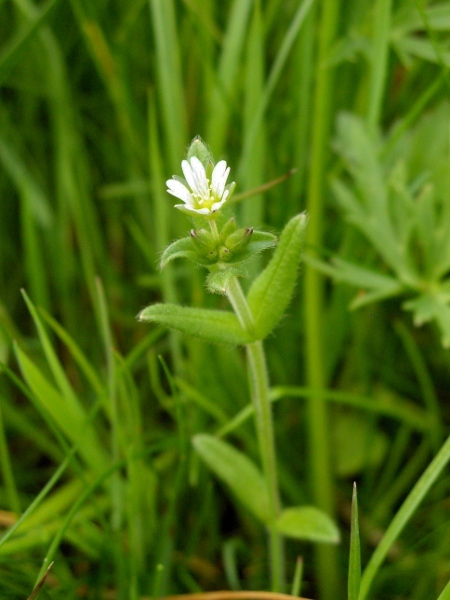 A less hairy form with narrower leaves and larger fruits is recognised by Stace as Cerastium fontanum subsp. holosteoides.